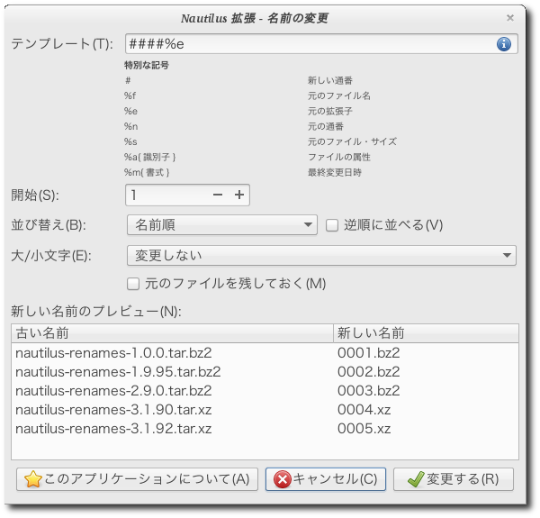 Nautilus Renames Extension 3.2 RC1 supports GSettings. or folder names with some special character in pattern. # List of source files containing translatable strings. # Please keep this file sorted alphabetically. Bug #750917 was fixed over a year. Building GNOME 3.16 release (TAKE2). 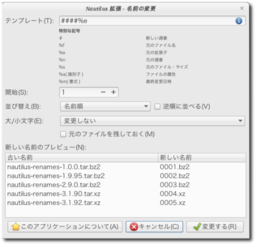 Building GNOME 3.16 release (TAKE1). GTK+ Ref. translation is finally finished. GTK+ Ref. translation (TAKE 20).